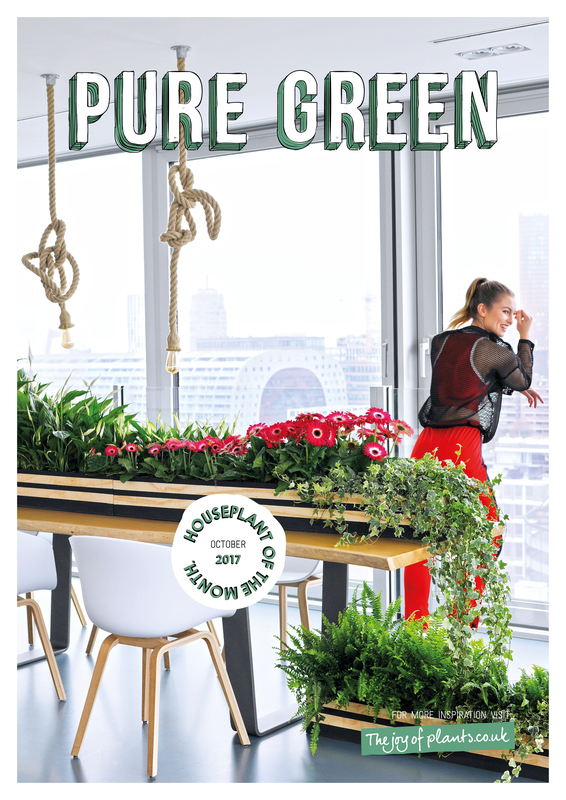 Pure Green is about plants with air-purifying qualities which greatly improve their surroundings. Research by NASA has proved it: some plants absorb harmful substances and carry them away with their roots. They also release oxygen and help maintain the humidity level in the home. 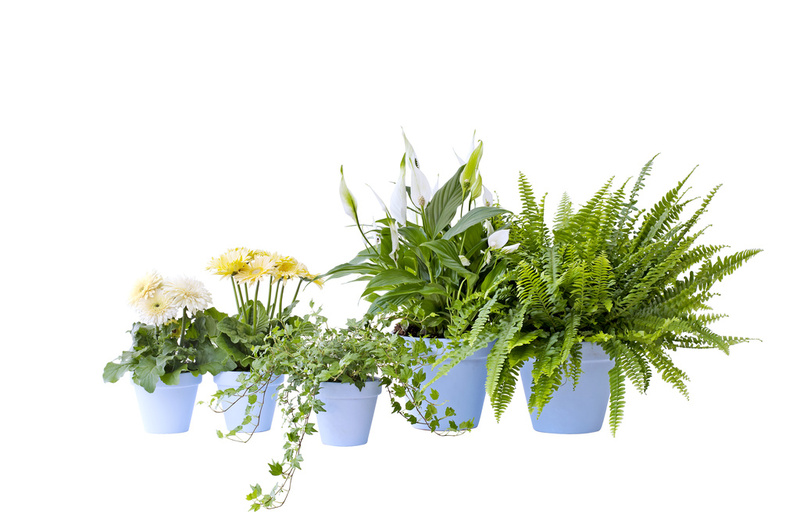 The Houseplants of the Month for October are the stars amongst the Natural Air Purifiers: Spathiphyllum, Gerbera, Nephrolepis and ivy. Ivy (Hedera) is a member of the Araliaceae family, and grows on rocks and trees in Asia, Europe and North Africa. The plant is able to climb to a height of 25-30 metres and does particularly well in cooler regions. The Latin name ‘Hedera’ roughly means ‘gripping’ and refers to the roots with which the plant secures itself. Ivy symbolises eternal life, because the plant is evergreen. Gerbera flowers in Southern Africa, Asia, South America and Tasmania. 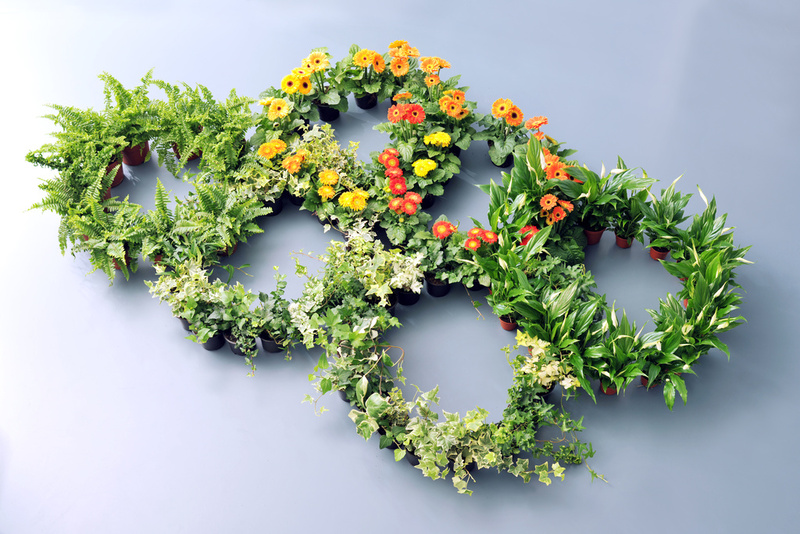 This flowering plant is now available in 600 different colours, shapes and sizes. Gerbera is known as a cut flower, but it is the plant that can best absorb harmful substances from the environment. Nephrolepis Is a member of the fern family: beautiful foliage plants with very varied appearances which have been growing on Earth since the Devonian period (400-350 million years ago). Nephrolepis occurs in tropical rainforests around the globe. 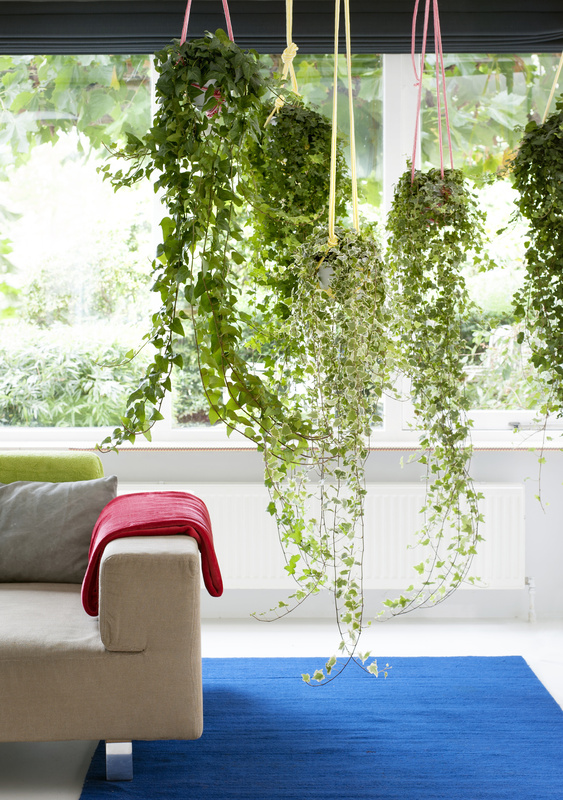 This bushy plant with feathered leaves is one of the best air purifying plants for the home. Spathiphyllum comes from the tropical rainforests of Colombia and Venezuela, and is the sort of plant that everyone falls in love with straightaway: soft green leaves, white bracts around a flowering spike, and very interactive. If Spathiphyllum is too dry, its leaves droop in order to spring back up again within a couple of hours of being watered. With all the plants you should look at the pot size, diameter, thickness and height of the plant. 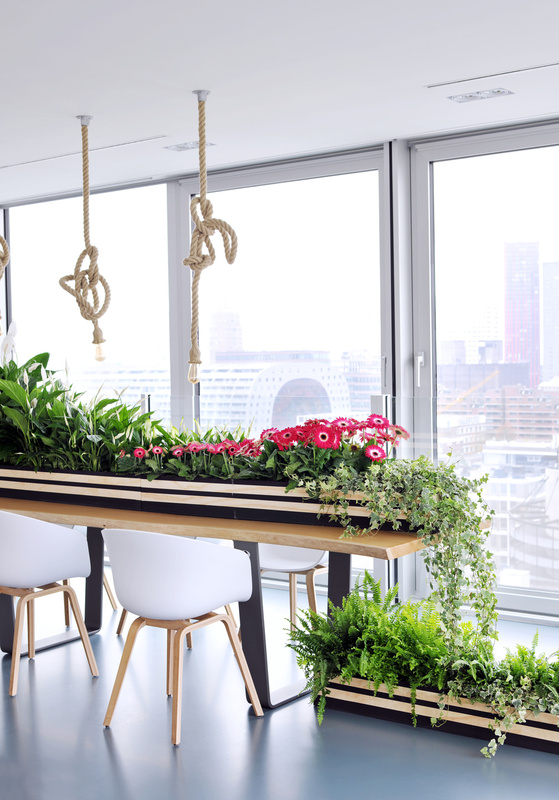 With ivy it’s worth checking the length of the tendrils, and with Gerbera and Spathiphyllum you should check the number of flowers per plant and the stage of ripeness. 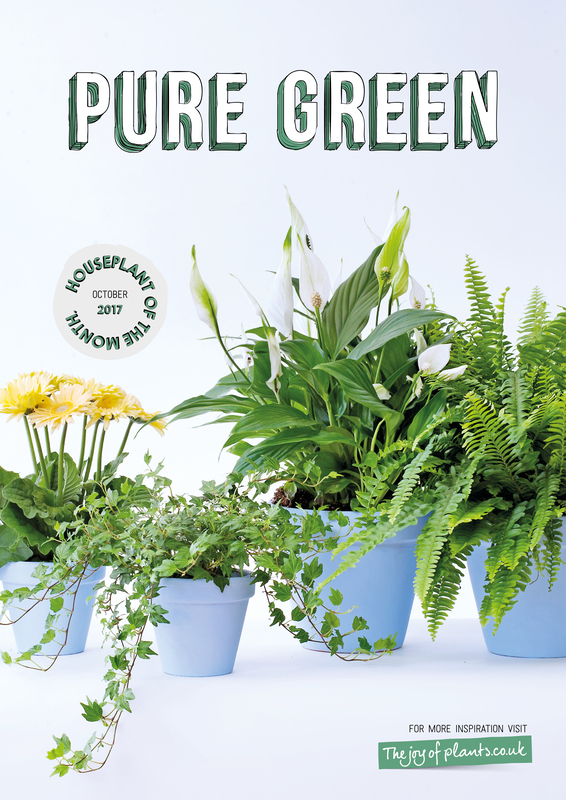 All Pure Green plants should have slightly damp soil. The smaller pot sizes in particular dry out rapidly and then suffer leaf drop, shrivel leaves or dry leaf edges. Plants should be free of yellow leaves in the heart of the plant, particularly in winter. It's also a good idea to check for various types of scale insects and mealybug. Ivy can also suffer from red spider mite. These pests are often difficult to eradicate in the retail chain or at the consumer, so it’s advisable not to buy the plant. Plants are often sleeved in order to protect them from cold or during shipping. Check that the sleeves are perforated because of the damp that can cause the Botrytis fungus. This grey mould can rapidly infest the plant. 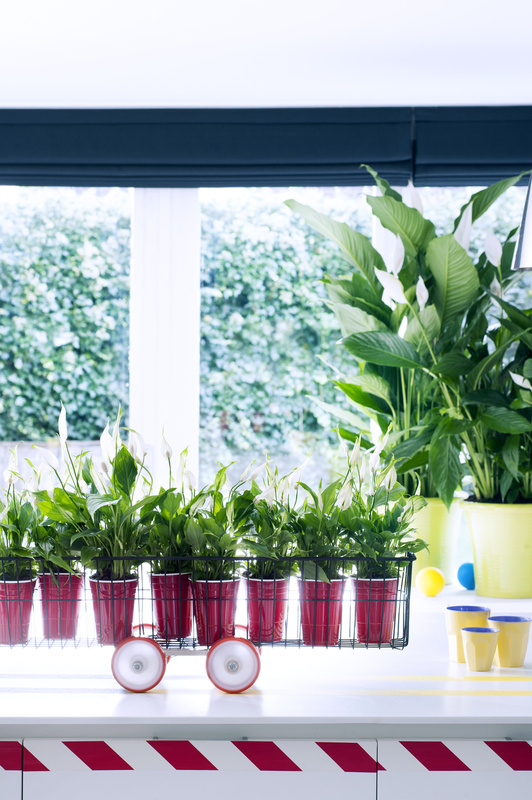 During shipping and storage the temperature must be at least 12-15 °C or higher for Spathiphyllum and Nephrolepis. Ivy and Gerbera can tolerate lower temperatures. Ivy offers a wide range of leaf shapes and colours. 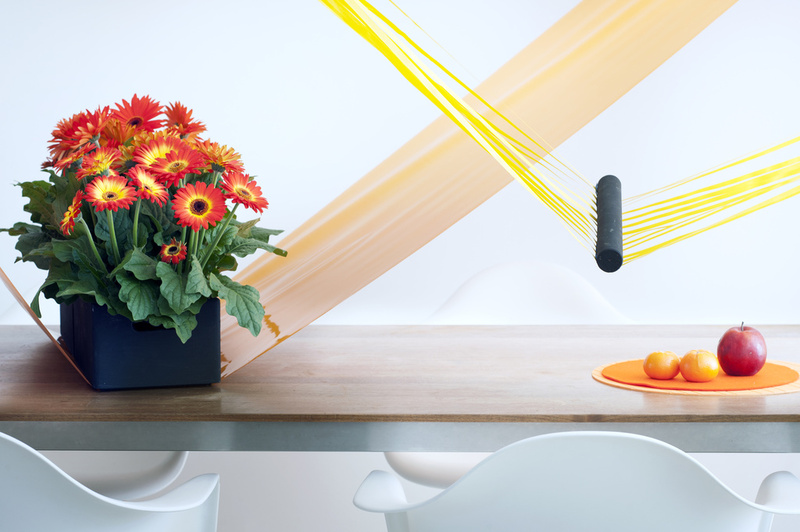 There are climbing and hanging forms, and many applications are created with it on arches, spheres, pyramids etc. The leaf colour ranges from smooth green through to variegated and marbled, and there is also a wide variety of leaf sizes. Cultivars such as Eva, Kolibri, Pittsburgh, Shamrock and Wonder are very popular. Gerbera occurs in many different sizes and forms, and is increasingly popular as a patio plant for use in the spring and summer. There is even a hardy variety (Garvinea). 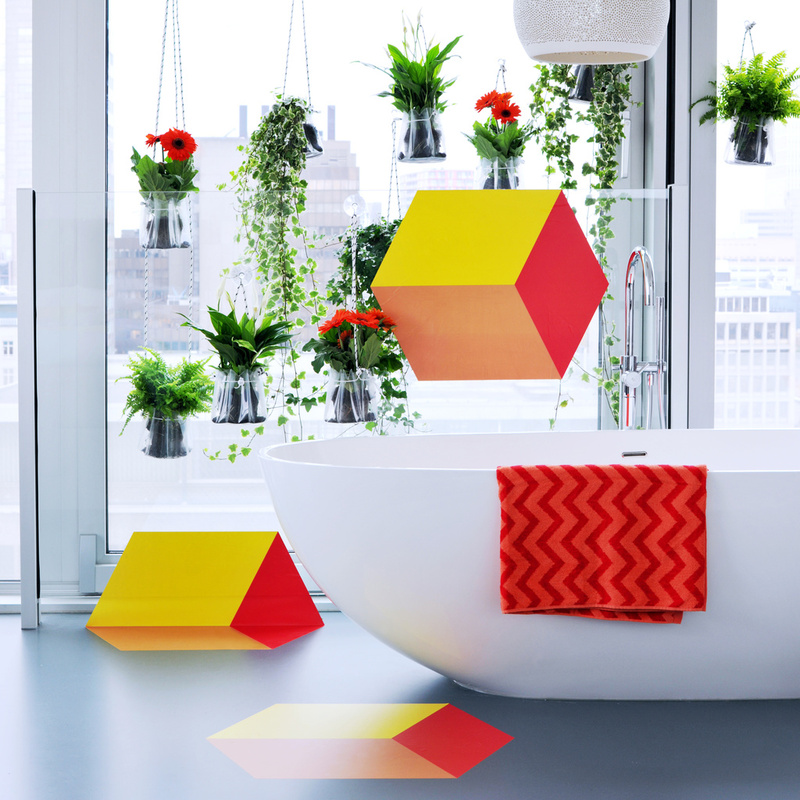 For use the home there are a number of series that are offered in many colours, such as Durora, Fiori Line, Sundayz and Revolution. Nephrolepis is by far the most important species within the ferns, with the cultivars Bostoniensis (often called Boston Fern) and Green Lady (narrow leaf) as the best known varieties. 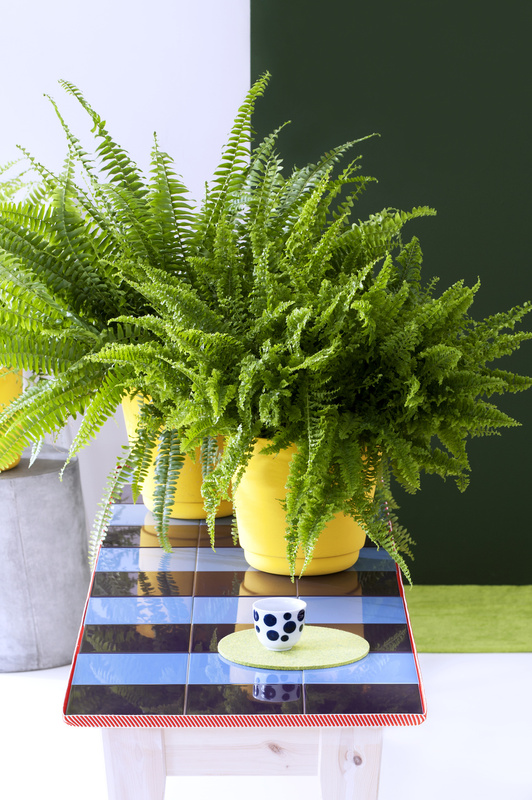 But Corditas, Duffii, Emina and Vitale are also attractive ferns with the same air-purifying properties. Spathiphyllum is available in many sizes, always with a white inflorescence. The leaves are usually green, although there are also a couple with variegated leaves, such as S. Silver Cupido or S. Gimini. Many cultivars are named after composers: Chopin, Figaro, Vivaldi or Bellini. There are now many varieties of Cupido available. All Pure Green Plants should be wrapped carefully for the journey home during the cold months. Ivy likes a cool and light spot, but not in bright sunlight. The lighter the leaf, the more light it requires. The more chlorophyll, the less light it needs. The soil should not be allowed to dry out, but nor should the roots be standing in water. 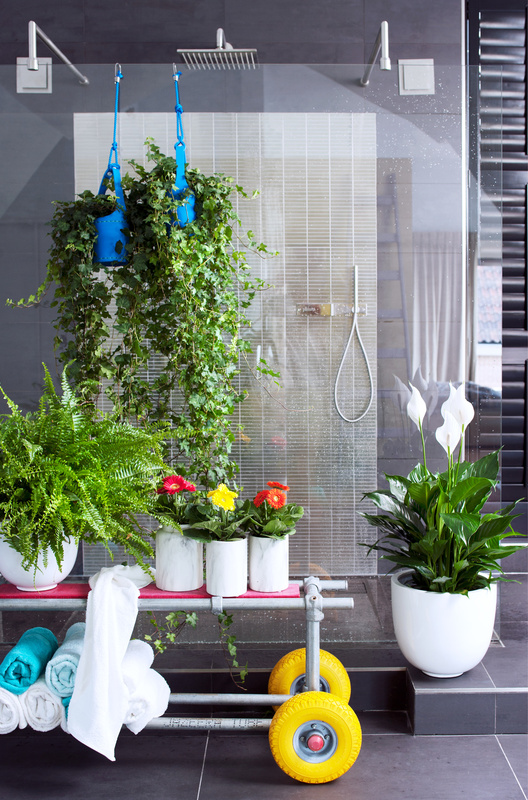 Give some plant food once a fortnight, place the plant under the shower from time to time or treat it to a session with the plant spray. Remove old leaves, cut back scrawny tendrils. Ivy cannot tolerate dry air well; this can lead to red spider mite. So don’t place it over a heater. Gerbera prefers a light spot. The soil should not be allowed to dry out. 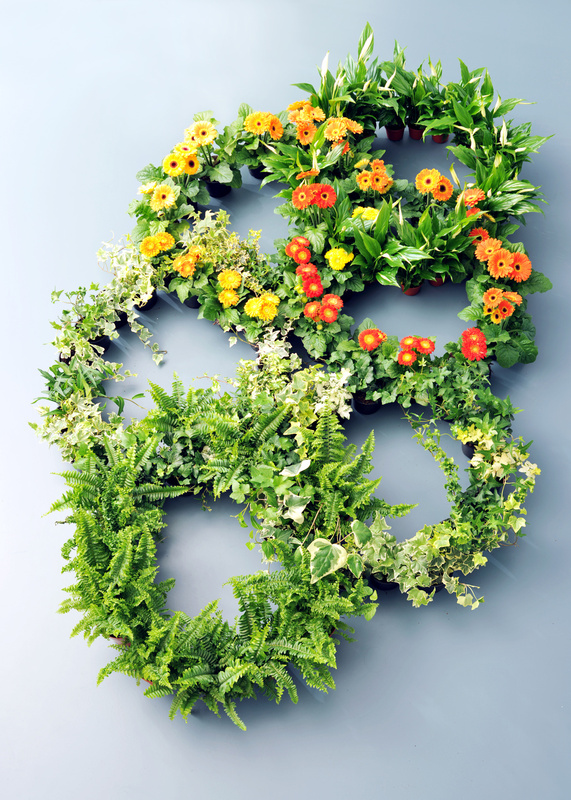 Give plant food once every three weeks to ensure long, lavish flowering. 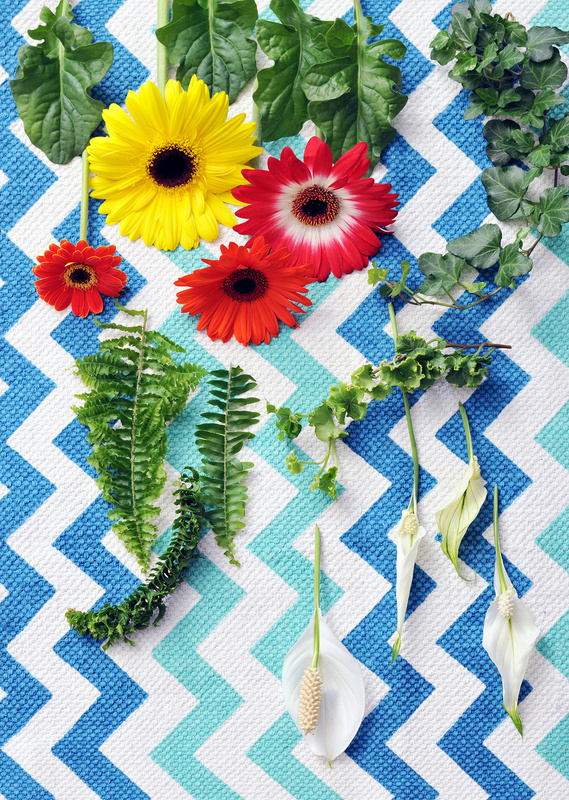 Carefully remove exhausted flowers with a twisting movement from the heart so that the entire stem comes free. Nephrolepis prefers a spot where the temperature is above 12°C, between partial shade and light. The plant can’t tolerate direct sunlight or the dry air over a heater. Do not allow the soil to dry out. Water onto the soil in order to protect the heart of the plant. Rainwater is preferable - ferns cannot cope well with lime and salt. Give the plants some plant food once every 3-4 weeks during the growing season. Spathiphyllum prefers a light spot where the temperature is at least 12°C , but does not cope well with full sun. Do not allow the soil to dry out. The plant will show when it’s short of water by drooping. Spray the leaves regularly with tepid water, give some plant food once a month, remove wilted flowers. The NASA Clean Air Study provide strong support for the sale of Pure Green. 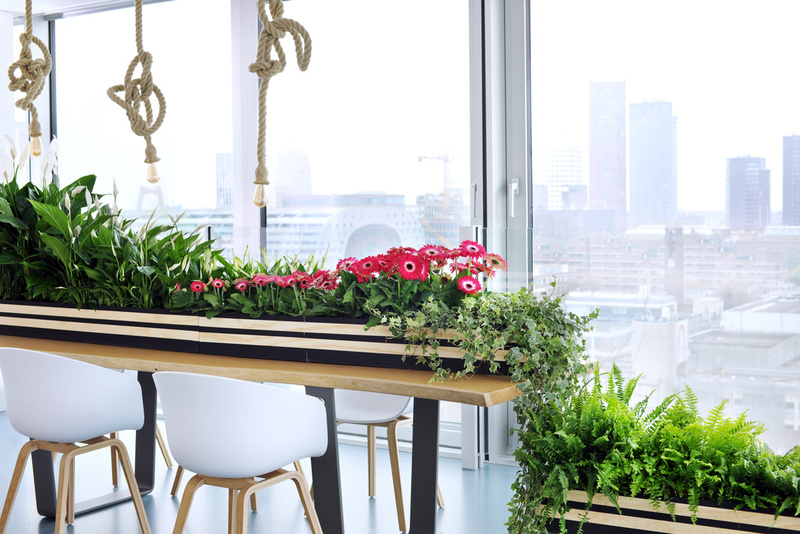 To have a real effect, NASA recommends at least 1 plant (pot size 15/20 cm) per 10 m². The amount of soil is also important, because micro-organisms in the soil absorbs small quantities of air pollutants. 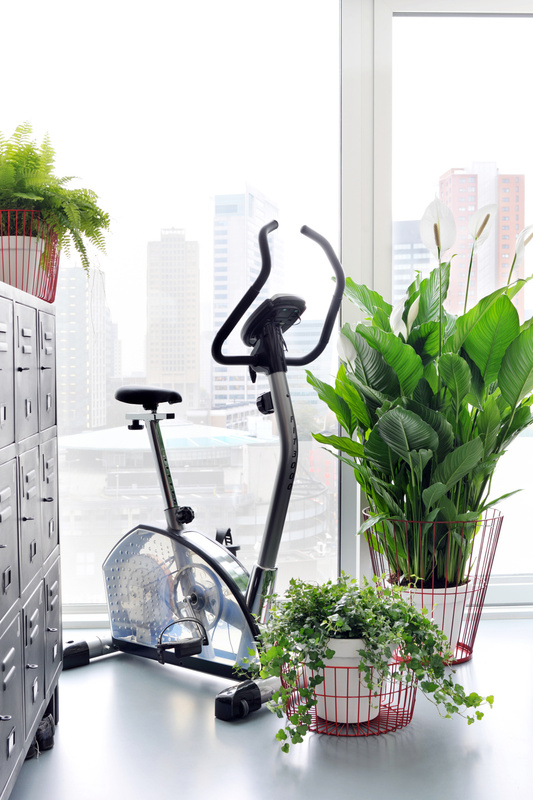 Pure Green plants are not only ideal for use in the home, but also in offices and schools. 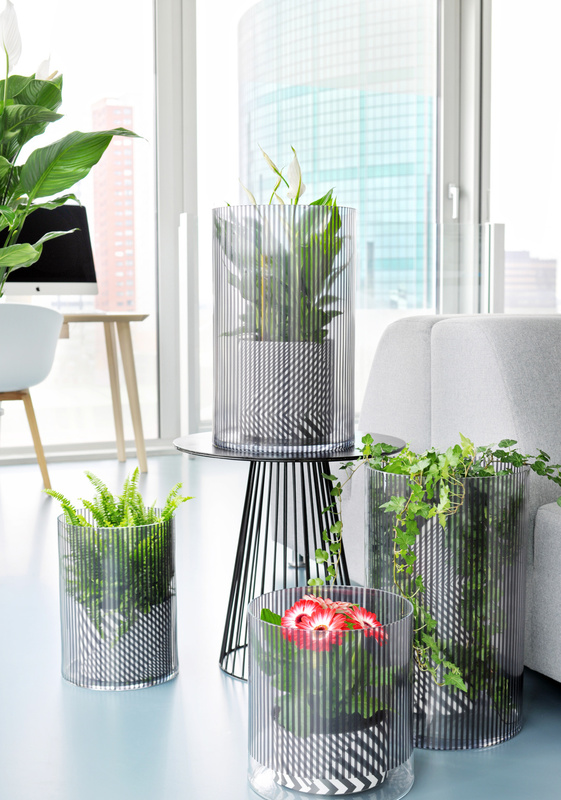 Place the various species together for an attractive green display accompanied by the air-purifying message: ‘These plants will make you and your home better’. You can download and use the images below free of charge crediting Thejoyofplants.co.uk. You can download the posters using the links below.